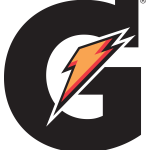 Gatorade is a signature line of sports drinks with 4 unique flavors that are designed to fuel your performance with electrolytes, carbohydrates and fluids, keeping you hydrated and filled with energy. Aquafina was introduced in Wichita, Kansas, in 1994 and reached international distribution in 1997. Since its debut, Aquafina has won over consumers with its great taste and purity. Aquafina water is purified using a seven-step process called HydRO-7TM. DRC established the manufacturing setup for Aquafina in 2004. Earn up to 4% interest with the Emirates NBD Fitness Account, a savings account linked to your fitness activity and rewards you with higher interest rates with every step you take. It also gives you exclusive offers across gyms sportswear, health, and nutrition spots around town. Download the Emirates NBD Fitness App today to get started.